Since we had a lot of good feedback from The Selfish Series we did in September last year, you don’t need to wait another year to hear some refreshing Selfish Episodes. I want to help you understand that it’s okay to hit the pause button so you can gain the balance you need to be able to do some selfless work. 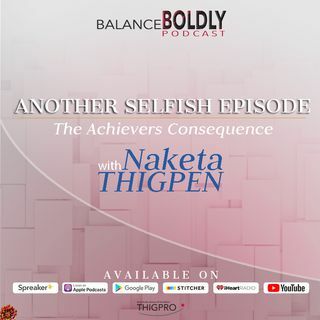 With this said, the Selfish Series is now going to be a part of the monthly episodes with this season’s theme: The High Achievers’ Consequence. On this episode, I’m going to share the ... See More two main consequences of a being a high achiever. I’m going to talk about the upsides and downsides of being competitive, the relationship between high achievement and perfectionism, and the effects of perfectionism in your life and your business.